Waiting in the bathroom to get the results of a pregnancy test can range from being one of the most exciting points in life to being one of the most terrifying. Maybe you’ve been trying to conceive, maybe not. Either way, you might soon find yourself sitting on your toilet or the side of your tub just staring at a stick smaller than a stick of margarine. Maybe you decided to take more than one test. Maybe you have a whole line of tests sitting out on your bathroom sink. 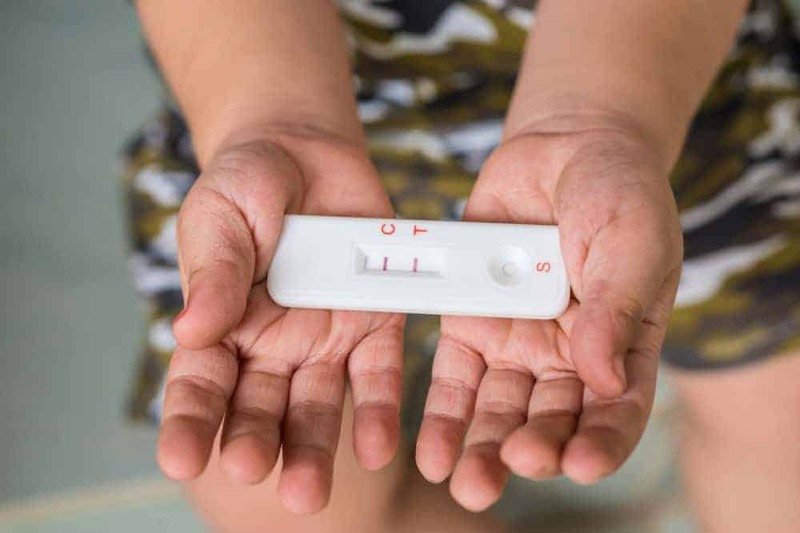 If that stick reads positive, your life changes in an instant.You want to make absolutely sure that the results you are getting from the pregnancy test in your hand or on your sink are accurate to what is actually going on in your body. Sure, taking a bunch of the same test, same brand is probably going to give you some sort of feel for if you are getting accurate results or not. However, the ideal situation would be to use a couple of different styles of tests. This helps reduce human and test error. But buying multiple styles of tests can get expensive. Clearblue has come out with a solution. In the Clearblue Pregnancy Test Double Check and Date Kit, you can get that assurance all in one box. Not only that, but the digital test included in this kit is able to offer you an estimation of the date of conception for your pregnancy. So how does it stack up to those other tests lining your hypothetical sink? Clearblue is a well-recognized brand when it comes to pregnancy tests. The brand even totes that they are the top pick among doctors. This is often the brand that other brands are compared to. They do not fall short of their reputation when it comes to this product. The Clearblue Pregnancy Test Double Check and Date Kit was conceptualized to help save consumers the hassle of purchasing multiple pregnancy test kits and the possibility of error. With the combination of a digital and a line tests together in one kit, this is a great product to have on hand. By utilizing to different style of testers, the margin for error is reduced quite a bit. This pregnancy test kit is more ideal than having to go out and buy multiple kits just to double check with the different styles of tests. Not only that, but the digital test included in this kit is able to estimate the date of conception. While it is a ranging estimation of weeks, it is still more information than many other similar tests. Most of the concerns associated with this kit are readout errors. The thing is, these errors are not limited solely to this kit. There is the chance for glitches and battery issues with most digitals tests. The darkness of the dye on the line test usually has to do with the level of the detected hormone in the urine. The only other concern is that this test doesn’t pick up the hormone shift as soon as some other brands. It can be argued in return that those tests might not be accurate before an expected period, either. The Pros of this test definitely outweigh the Cons.